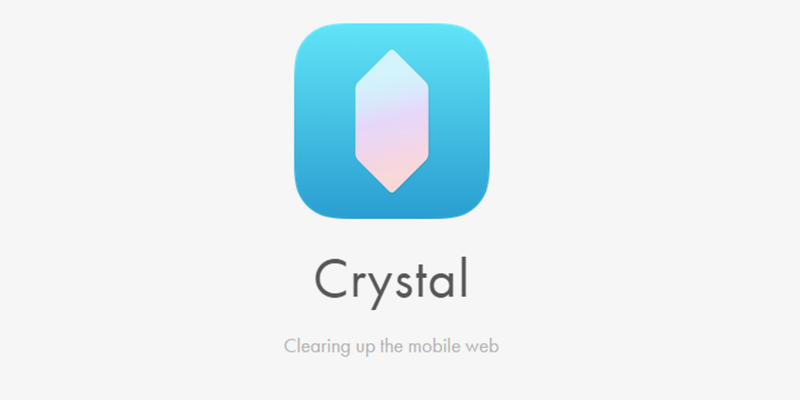 Crystal will let advertisers jump its adblocker for a price: Good business or short-sighted? When adblocking became available for iOS devices with the release of iOS 9, people flocked to the newly released blockers in a bid to speed up Web browsing and cut down on intrusive ads. Ads on the desktop are bad enough, but ads on mobile are often awful. When Marco Arment pulled his app Peace from the store after just two days, Crystal quickly surged in popularity to fill the top spot. As of right now, it’s the best-selling adblocker on the store. However, yesterday it emerged that not only is the company making money from each 99c download, it’s also signed a deal with Eyeo (makers of Adblock Plus) to allow some advertisers to slip through. It’s an adblocking app that charges users to block ads and charges advertisers to allow ads through. Clearly, at first glance that seems like a greedy attempt to ‘double-dip’ and make more money. Crystal’s creator Dean Murphy says that linking up with Eyeo to allow “acceptable ads” from paying advertisers is a way of allowing Crystal users to support the publishing industry. As a Web journalist whose living depends on ads to a large extent, a part of me can get behind that suggestion – but I don’t really buy it. Do you? Adblock Plus uses a similar approach on the desktop, but the blocker is provided for free there, which is the key difference to me. Is the decision to charge both sides of the advertising equation going to slow the growth of the app as users look elsewhere for other apps that don’t allow ads through, or is it an acceptable cost of users getting ‘free’ Web content? Let us know your thoughts in the comments below – and don’t forget to vote!